Wahoo! 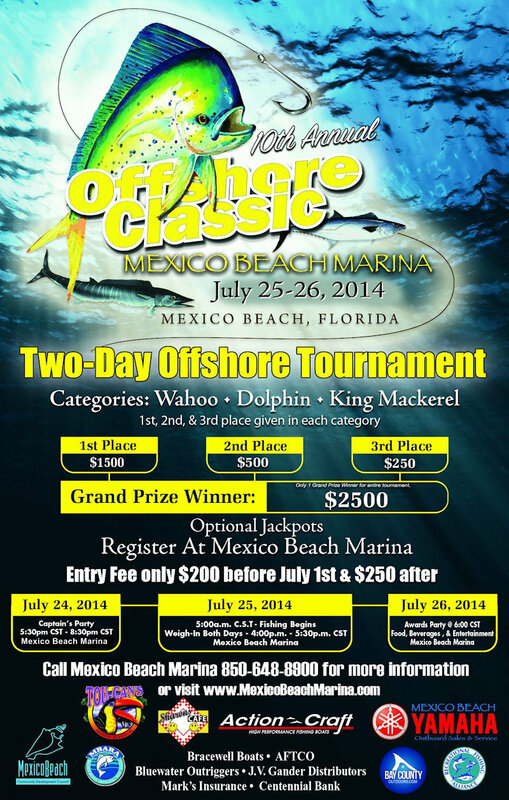 Mexico Beach’s 10th Annual Offshore Classic Begins July 25! 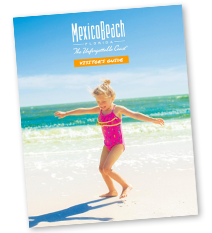 Mexico Beach is getting geared up for the second of three summertime fishing tournaments sponsored by the Mexico Beach Artificial Reef Association (MBARA). Thanks to the MBARA, nearly 200 artificial reefs have already been deployed in the Gulf of Mexico, including Florida’s only super reefs that are a staggering 17 to 24 feet high! The 10th Annual Offshore Classic is touted as one of the MBARA’s most popular fishing tournaments, which will be hosted by Mexico Beach Marina on Friday, July 25 and Saturday, July 26, 2014. During the two-day shootout, sport fishermen from near and far will be on a quest to reel in the Gulf’s biggest wahoo, dolphin, and king mackerel. “One lucky angler will also receive a whopping $2,500 grand prize for catching the overall biggest fish, and an optional jackpot will be available as well!” said Kimberly Shoaf, president of the Mexico Beach Community Development Council. The Captain’s Party will be held Thursday, July 24 from 5:30 to 8:30 p.m. CDT at Toucan’s on Mexico Beach. Tournament weigh-ins will be held at Mexico Beach Marina on July 25 and 26 from 4:00 to 5:30 p.m. CDT. The after-party celebration kicks off at 6 p.m. CDT with plenty of food, beverages, and entertainment. The entry fee for this year’s tournament is $250. To register for the 10th Annual Offshore Classic or for more details, visit MexicoBeachOffshoreClassic.com or call (850) 648-8900.